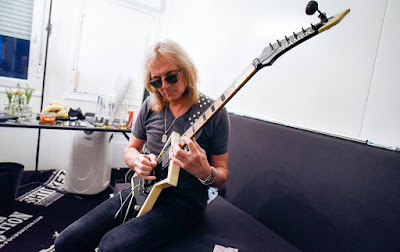 Glenn Tipton rejoined his Judas Priest bandmates to perform a three-song encore during the band’s April 17 show at the Veterans Memorial Coliseum in Portland, OR, and video from the event is streaming online. Tipton – who recently announced his retirement from the road following a diagnosis of Parkinson’s Disease – was in the lineup for the group’s classic tracks "Metal Gods", "Breaking The Law" and "Living After Midnight" while marking his fifth appearance during the band’s “Firepower” world tour. 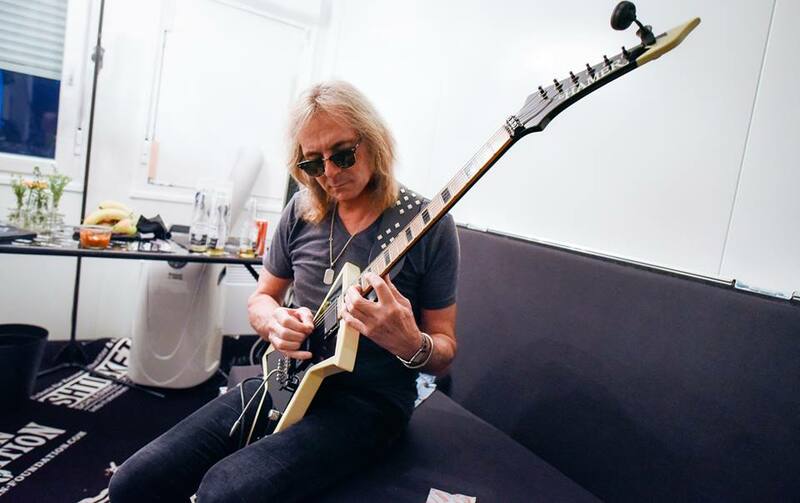 The guitarist personally chose album co-producer Andy Sneap to take over his touring duties, while leaving the door open for possible performances on the trek. The group’s 18th album, “Firepower” recently landed the veteran metal outfit their highest-charting US album with its debut at No. 5 on the Billboard 200, while also scoring their first UK Top 10 album in 38 years with a No. 5 entry on the Offical Charts. Judas Priest’s current spring run across North America with Saxon and Black Star Riders will wrap up in San Antonio, TX on May 1.